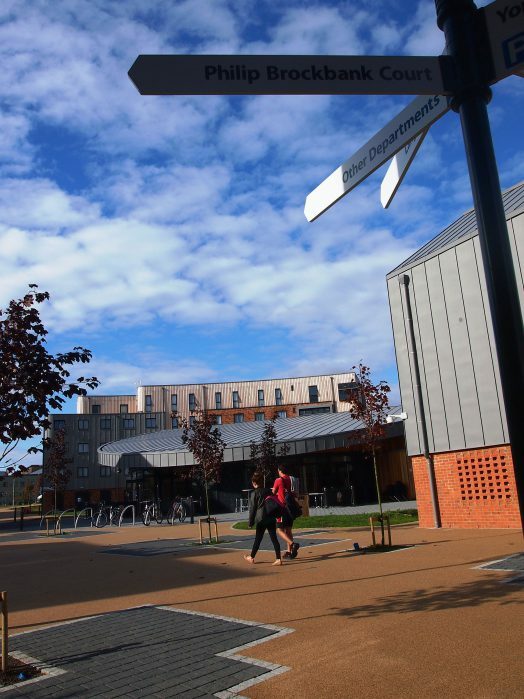 This new college campus development will provide a variety of accommodation and facilities for 650 students in the University of York’s Heslington East campus. 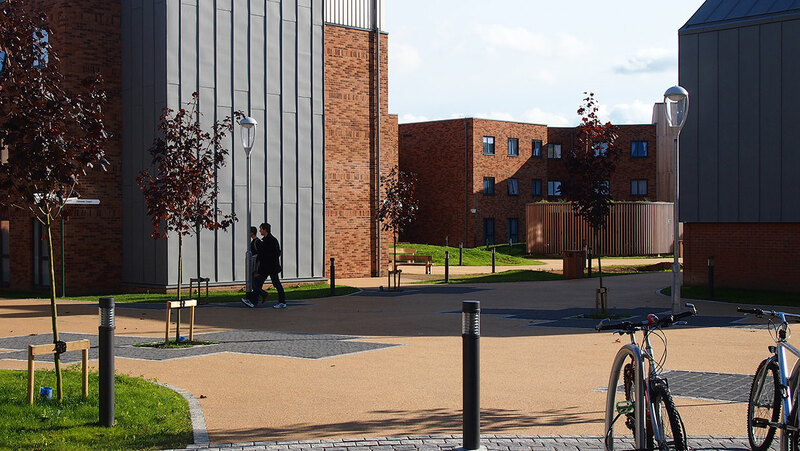 The campus design is based on the arrangement of buildings enclosing four informal courtyards of varying sizes. 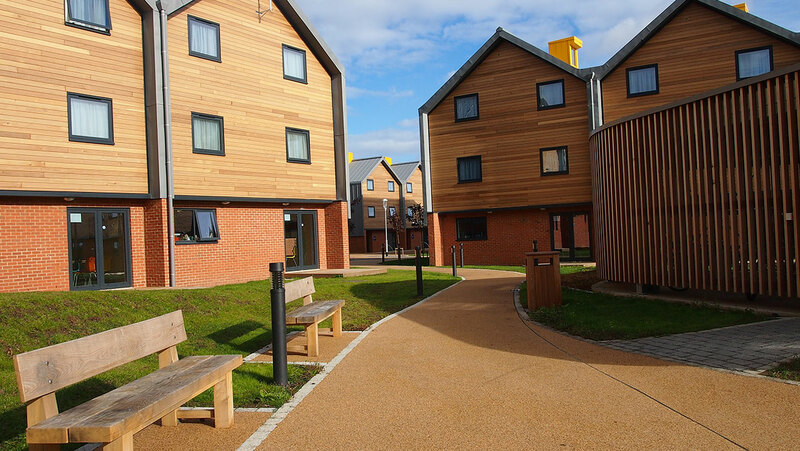 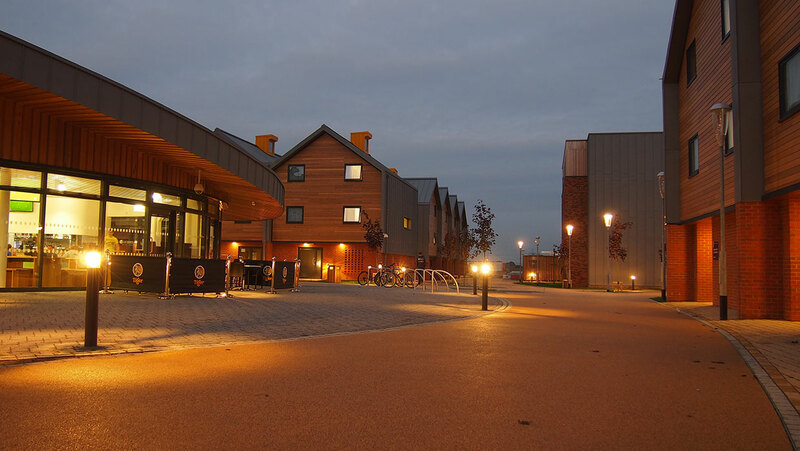 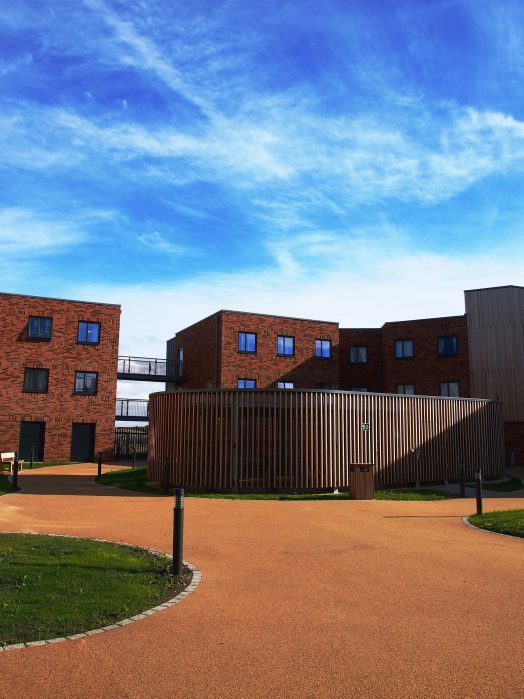 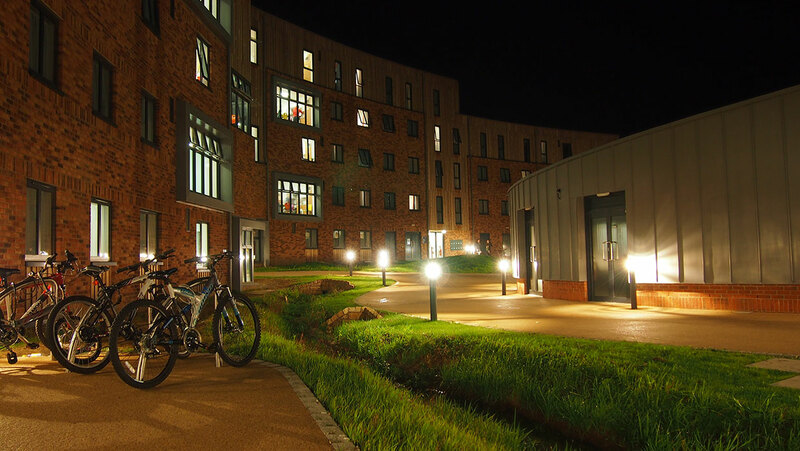 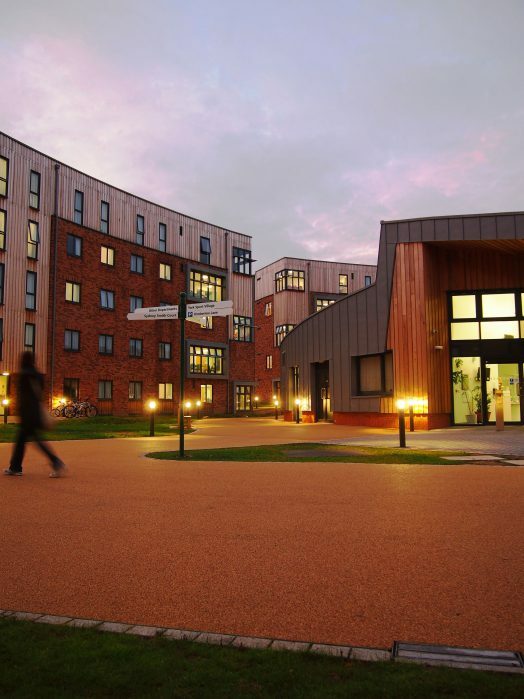 The central feature of the largest courtyard space is the egg shaped Langwith Centre, a single storey social hub for the campus providing students with a common room, café and launderette facilities. 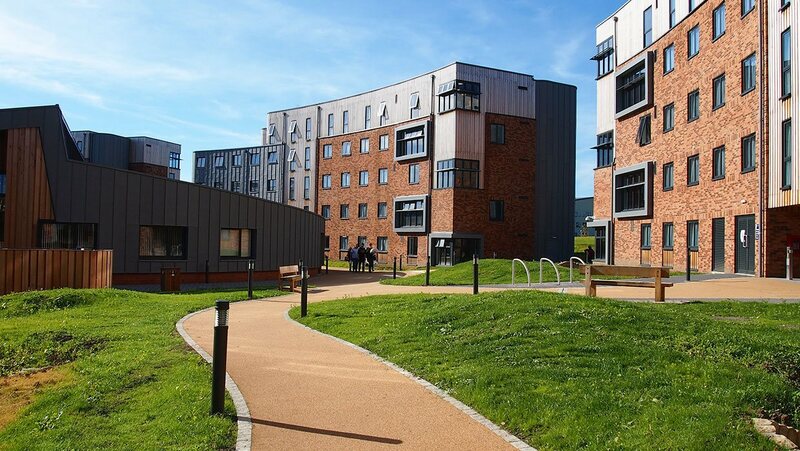 Landscape elements such as the sinuous path network, sustainable urban drainage swales and grass mounds help create passive and flexible green spaces within the courtyards and provide a connection between the college internal landscape and external landscape beyond. 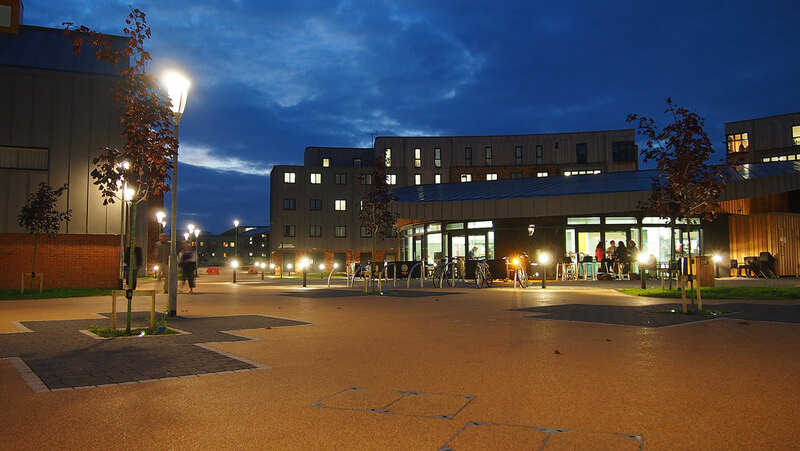 Finishes with a high quality materials palette further reinforce the link between individual buildings, cycle stores and social spaces to make this a successful, sustainable and interactive campus environment.